This is a far cry from the boost in funding that SBS sought to commission more Australian content. Only two percent of SBS’s schedule comprises Australian drama. SBS had sought to increase Australian content to 30% in peak viewing. Other than $28.5 million returned to SBS in place of a twice failed Bill to double primetime advertising, the funding for SBS does not address the $53.7 million cut from SBS by the Abbott government announced five years ago. SBS News is reporting that both national broadcasters – the ABC and SBS – will receive an extra $73.3 million over three years. 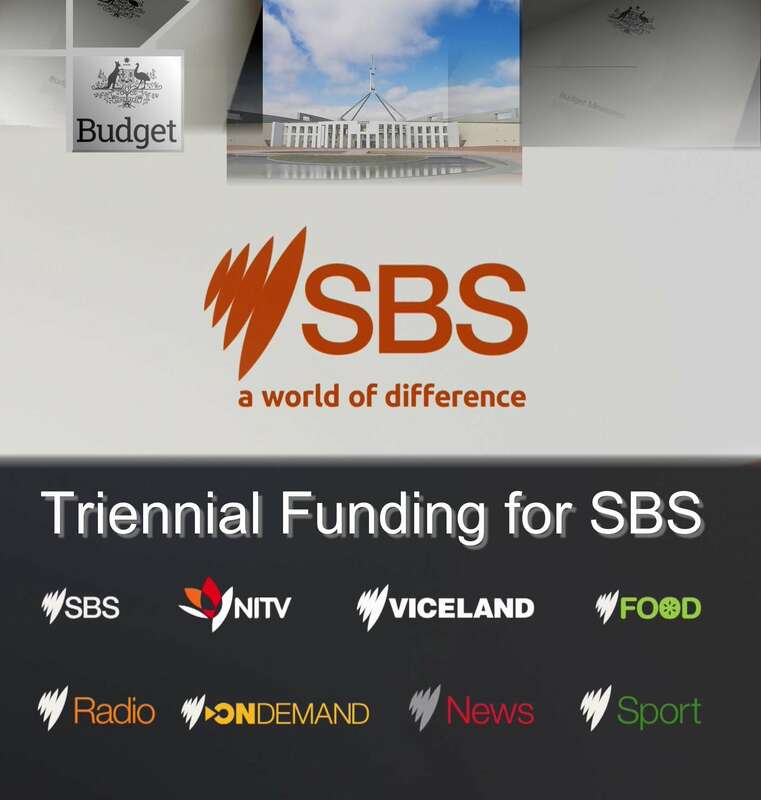 The broadcasters are funded triennially. In his Budget speech, Treasurer Josh Frydenberg announced a "surplus of $7.1 billion". But even with that surplus, the Morrison Liberal-National Coalition government did not see their way to increase funding to SBS to that required for a contemporary national multicultural broadcaster.